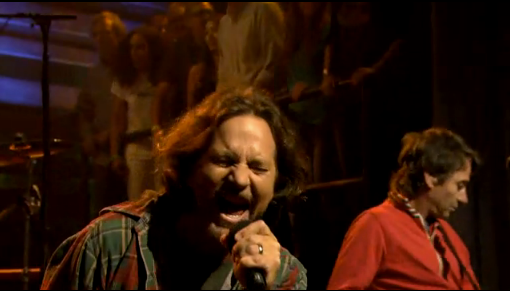 Fresh off their PJ20 Weekend at Alpine valley, Pearl Jam debuted a brand new on Late Night With Jimmy Fallon. Rather than give the traditional 20th anniversary gift, the Seattle legends opted to treat their loyal fans a gift, debuting the track, ‘Olé,’ Thursday night and making the studio version of it available as a free download! great tune thanks for the heads up for the free mp3 download.